Washington, DC – February 10, 2011 – (RealEstateRama) — Home sales rebounded in 49 states during the fourth quarter with 78 markets – just over half of the available metropolitan areas – experiencing price gains from a year ago, while most of the rest saw price weakness, according to the latest survey by the National Association of REALTORS®. Total state existing-home sales, including single-family and condo, jumped 15.4 percent to a seasonally adjusted annual rate1 of 4.80 million in the fourth quarter from 4.16 million in the third quarter, but were 19.5 percent below a surge to an unsustainable cyclical peak of 5.97 million in the fourth quarter of 2009, which was driven by the initial deadline for the first-time buyer tax credit. In the fourth quarter, the median existing single-family home price rose in 78 out of 152 metropolitan statistical areas2 (MSAs) from the fourth quarter of 2009, including 10 with double-digit increases; three were unchanged and 71 areas had price declines. In the fourth quarter of 2009 a total of 67 MSAs experienced annual price gains. The national median existing single-family price was $170,600 in the fourth quarter, up 0.2 percent from $170,300 in the fourth quarter of 2009. The median is where half sold for more and half sold for less. Distressed homes, typically sold at a discount of 10 to 15 percent, accounted for 34 percent of fourth quarter sales, little changed from 32 percent a year earlier. Yun added, “An improving housing market and job growth will go hand in hand. The housing recovery will mean faster job growth.” He projects about 150,000 to 200,000 jobs will be added to the economy this year from an anticipated 300,000 additional home sales in 2011. NAR President Ron Phipps, broker-president of Phipps Realty in Warwick, R.I., said a very favorable affordability environment is a huge factor in the recovery. “Although job growth has been relatively modest and credit is tight, you can’t underestimate the impact of historically high housing affordability conditions,” he said. According to Freddie Mac, the national average commitment rate on a 30-year conventional fixed-rate mortgage was a record low 4.41 percent in the fourth quarter, down from 4.45 percent in the third quarter; it was 4.92 percent in the third quarter of 2009. “The healthier local housing markets are also experiencing favorable local employment conditions,” Yun said. Job growth is a major factor in price appreciation in metro areas such as the Washington, D.C., region, where the median existing single-family home price of $331,100 in the fourth quarter is 8.1 percent higher than a year ago; the Boston-Cambridge-Quincy area, at $346,300, up 4.2 percent; and Austin-Round Rock, Texas, at $190,300, up 4.1 percent. Smaller metro areas sometimes see larger swings in price measurement depending on the types of properties that are sold in a given period. In such markets, full year price data can provide additional context. In the condo sector, metro area condominium and cooperative prices – covering changes in 57 metro areas – showed the national median existing-condo price was $164,200 in the fourth quarter, which is 6.4 percent below the fourth quarter of 2009. Twenty-two metros showed increases in the median condo price from a year ago and 35 areas had declines; only 11 metros saw annual price gains in fourth quarter of 2009. “Consumers in the hard hit regions of Nevada, Arizona and Florida were able to scoop up condos at absolute bargain basement prices,” Yun said. Median condo/co-op prices in affected metro areas include Las Vegas-Paradise at $60,700, Phoenix-Mesa-Scottsdale with a fourth quarter median of $68,900, and Miami-Fort Lauderdale-Miami Beach at $81,900. Regionally, the median existing single-family home price in the Northeast increased 2.3 percent to $240,400 in the fourth quarter from a year earlier. Existing-home sales in the Northeast rose 15.0 percent in the fourth quarter to a level of 797,000 but are 22.8 percent below the surge in the fourth quarter of 2009. In the Midwest, the median existing single-family home price rose 0.5 percent to $139,200 in the fourth quarter from the same period in 2009. Existing-home sales in the Midwest jumped 18.3 percent in the fourth quarter to a pace of 1.02 million but are 25.4 percent below the cyclical peak one year ago. In the South, the median existing single-family home price edged up 0.3 percent to $152,400 in the fourth quarter from the fourth quarter of 2009. Existing-home sales in the region rose 11.4 percent in the fourth quarter to an annual rate of 1.82 million but remain 17.8 percent below the surge in the fourth quarter of last year. The median existing single-family home price in the West declined 2.9 percent to $214,400 in the fourth quarter from a year ago. Existing-home sales in the West jumped 19.9 percent in the fourth quarter to a level of 1.17 million but are 14.2 percent below the cyclical peak in the fourth quarter of 2009. “A good portion of the sales activity in the West has been driven by investors taking advantage of discounted foreclosures, with high levels of all-cash transactions,” Yun explained. 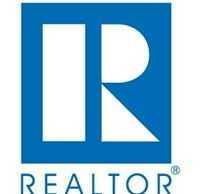 www.realtor.org/research/research/metroprice. For areas not covered in the tables, please contact the local association of REALTORS®. There often are differences between NAR’s data and locally reported data because of differences in methodology, which may include the geographic coverage area, housing types, and Census benchmarking used in NAR’s model. More importantly, there is a parallel between the percentage changes over time that is typically seen even when using different methodologies. 1The seasonally adjusted annual rate for a particular quarter represents what the total number of actual sales for a year would be if the relative sales pace for that quarter was maintained for four consecutive quarters. Total home sales include single family, townhomes, condominiums and co-operative housing. NAR began tracking the state sales series in 1981. 2Areas are generally metropolitan statistical areas as defined by the U.S. Office of Management and Budget. A list of counties included in MSA definitions is available at: www.census.gov/population/estimates/metro-city/0312msa.txt. First quarter metro area home price and state resale data will be released May 10 at 10 a.m. EDT.